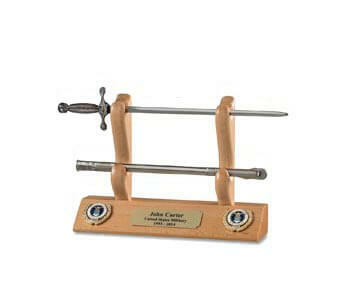 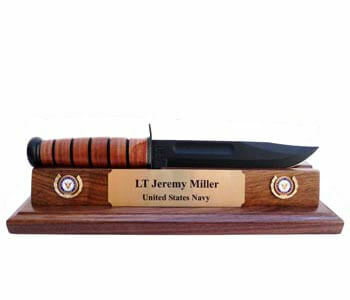 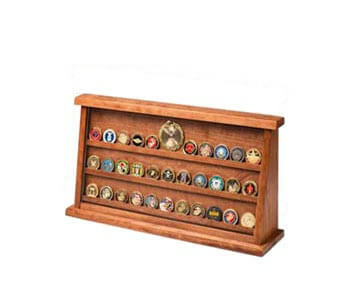 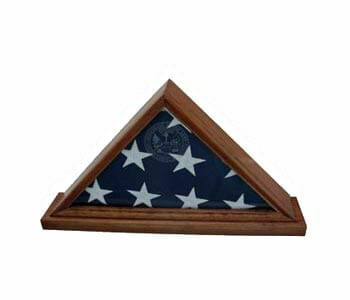 Stands, provide a functional way to demonstrate your military pride. 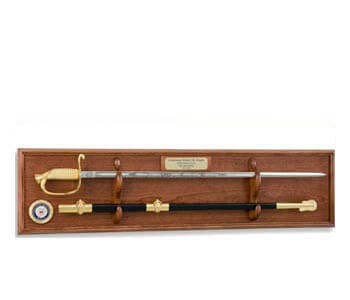 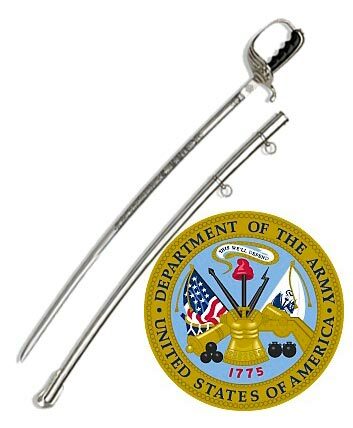 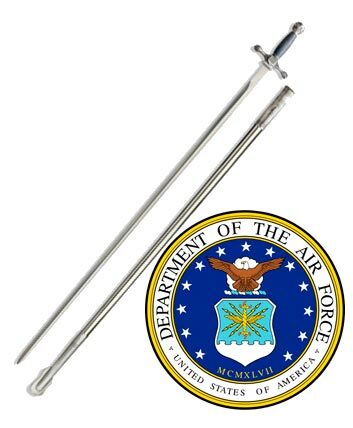 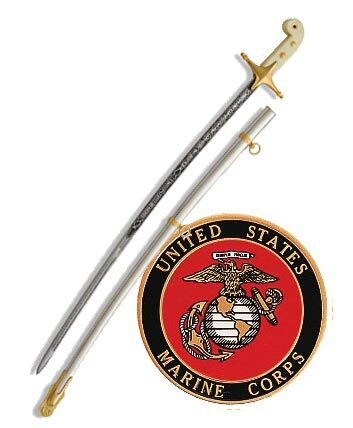 Each sword is miniature replica of the official Officers’ Swords of the U.S. Air Force, the U.S. Navy, the U.S. Army, and the Officers’ and NCO Swords of the U.S. Marine Corps. 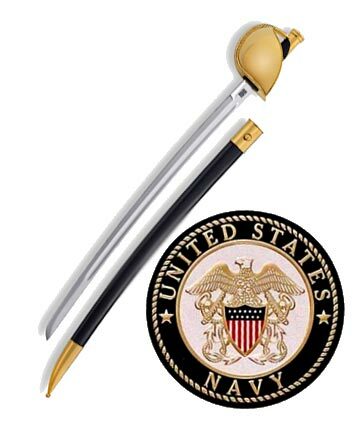 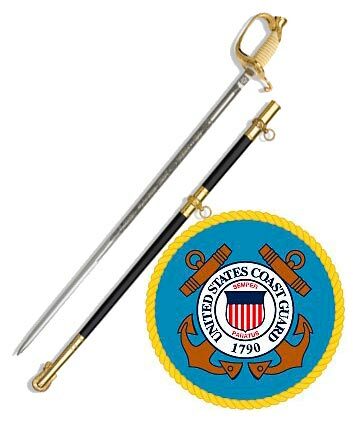 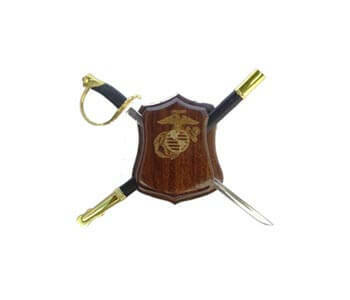 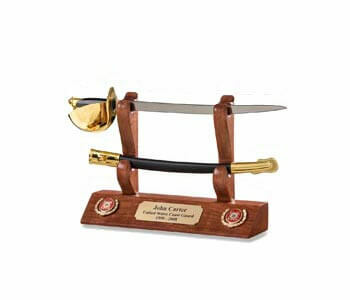 The miniature CPO Naval Cutlass Letter Opener, is a Spanish made duplicate, of the 1860 CPO U.S. Navy Cutlass original. 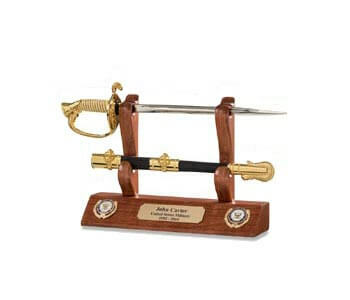 The miniature KaBar Knife is an exacting replica of the knife first issued in 1943. 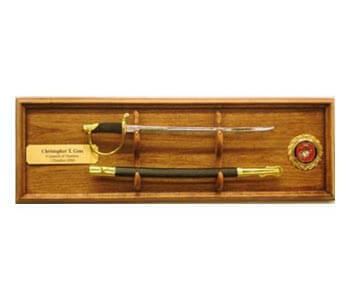 These Sword and Knife Letter Opener Displays are crafted using solid American Hardwood and finished to a fine furniture grade appearance. 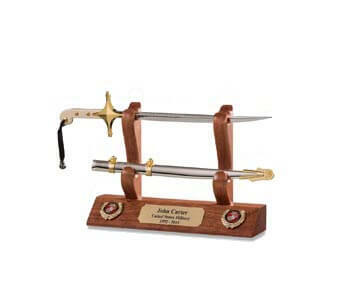 You will be proud to display these Swords and Knives, and happy to use them for their intended purpose. 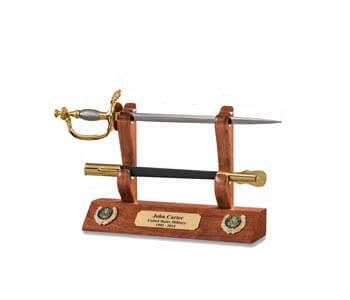 Letter Opener Display Stands are available using the following hardwoods: Northeastern American Cherry and Appalachian Black Walnut. 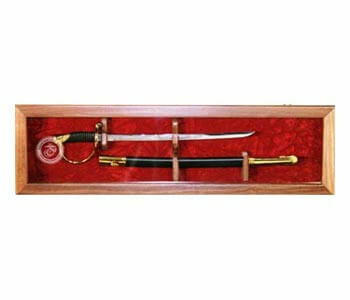 Custom Hardwood Display Sword Letter Opener length: 11”.